Edward Johnson was born on September 23, 1923, in Harrisburg, Pennsylvania. He enlisted in the U.S. Army on June 8, 1943, and then served with the 755th SN Company at Camp Pickett, Virginia, from June 1943 to August 1944. His next assignment was with the 31st Quartermaster Training Company at Camp Lee, Virginia, from August 1944 to October 1945, followed by service as an Admin NCO with the 453rd Quartermaster Laundry Company in Germany from October 1945 to June 1946. SFC Johnson served as an Admin NCO with Headquarters Company of the 61st Quartermaster Battalion in Germany from June to July 1946, and then with the 598th Quartermaster Laundry Company in Germany from July to December 1946. His next assignment was with the 436th Quartermaster Company in Germany from December 1946 to June 1947, followed by service as a Platoon Sergeant with the 661st Transportation Company in Germany from June 1947 to November 1949. During this time he served as an instructor with Detachment A of the 7871st Training and Education Group in Germany from February to April 1949. He then served as an instructor with the 7744th Educational Training Group in now West Germany from November 1949 to September 1953, and with Headquarters Detachment of the 7812th Station Compliment Unit in West Germany from September 1953 to March 1954. He was assigned as an instructor to the 44th Replacement Company of the 44th Infantry Division at Fort Lewis, Washington, from March to October 1954, and then as an instructor with the 2nd Replacement Company at Fort Lewis from October 1954 to June 1955. 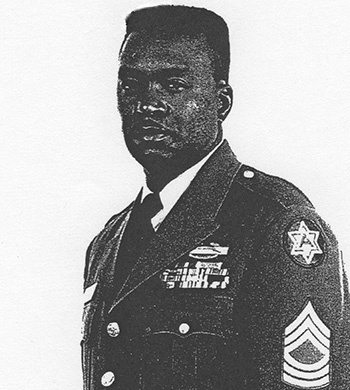 MSG Johnson was next assigned as an instructor to the 90th Replacement Battalion at Fort Lewis from June 1955 to March 1956, followed by service as an instructor and then as an Operations and Intelligence Sergeant with Headquarters Company of the U.S. Army in Europe Quartermaster School in West Germany from March 1956 to March 1960. He served as an infantry instructor with Headquarters Company of the U.S. Army Infantry Training Center at Fort Ord, California, from March to April 1960, and then with Headquarters Company of the 4th Infantry Brigade at Fort Ord from April 1960 to October 1963. MSG Johnson attended Military Assistance Advisor training at the U.S. Army Special Warfare School at Fort Bragg, North Carolina, from October 1963 to January 1964, and then served as an advisor with the U.S. Army Element of the Military Assistance Advisor Group in South Vietnam from January 1964 until he was captured and taken as a Prisoner of War on July 21, 1964. After spending 1,209 days in captivity, MSG Johnson was released by his captors in Cambodia on November 11, 1967. He was briefly hospitalized to recover from his injuries at Walter Read Army Medical Center in Washington, D.C., and at the U.S. Army Hospital at Fort Ord before serving as Chief Enlisted Advisor to the U.S. Army Advisory Group with the California Army National Guard in San Jose, California, from September 1968 to November 1970. His next assignment was as 1st Sergeant of 1st Battalion of the 13th Infantry Regiment in West Germany from November 1970 to March 1971, followed by service as 1st Sergeant of 1st Battalion of the 26th Infantry Regiment in West Germany from March to August 1971. 1SG Johnson served as 1st Sergeant of the 1st Adjutant General Admin Company in West Germany from August 1971 to May 1972, and then as 1st Sergeant of Company E of the 701st Maintenance Battalion in West Germany from May to December 1972. His next assignment was as 1st Sergeant of Company A, 4th Battalion of the 4th Infantry Brigade at Fort Ord from January 1973 until his retirement from the Army on March 1, 1974. Edward Johnson died on July 11, 2000. 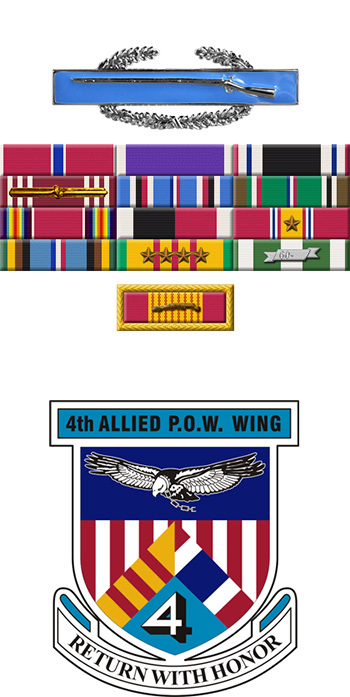 For distinguishing himself by outstanding meritorious service in connection with ground operations against a hostile force in the Republic of Vietnam during the period January 1964 to November 1967. Through his untiring efforts and professional ability, he consistently obtained outstanding results. He was quick to grasp the implications of new problems with which he was faced as a result of the ever changing situations inherent in a counterinsurgency operation and to find ways and means to solve those problems. The energetic application of his extensive knowledge has materially contributed to the efforts of the United States mission to the Republic of Vietnam to assist that country in ridding itself of the communist threat to its freedom. His initiative, zeal, sound judgement and devotion to duty have been in the highest tradition of the United States Army and reflect great credit on him and on the military service.